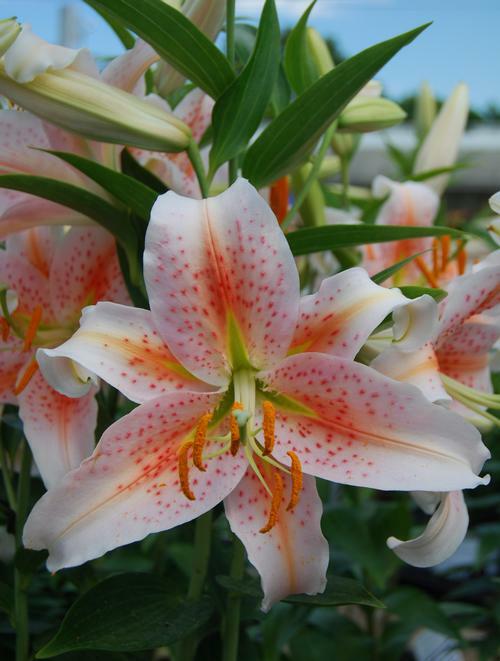 Usually tall growing with excetionally large fragrant flowers. Flowers are mostly outward facing and often have marron spots on the petals. Perfers warmer temperatures and good drainage (more sand) compared to asiatics.